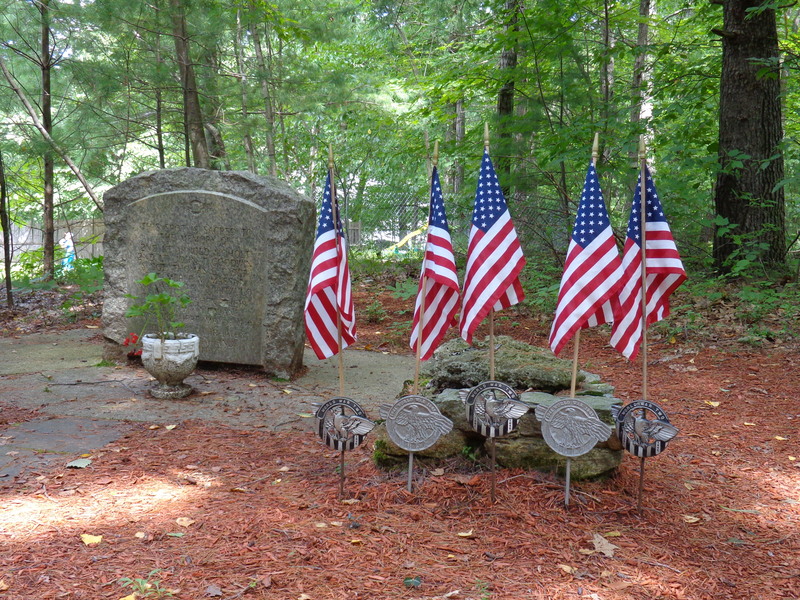 Tucked away on a two-acre wooded lot in the middle of a quiet upscale neighborhood in Uxbridge, Massachusetts, is a granite monument honoring five servicemen who died in the service of their country when their B-24 Liberator (42-7347) crashed on that spot during World War II. The incident occurred on May 18, 1944, as a formation of three B-24 bombers droned through the sky over the Blackstone Valley. The planes were on their way back to Westover Air Field after a day of formation flight training, the purpose of which was to give one of the bomber crews experience in formation flying so they would have enough hours to qualify for overseas duty. Talbot was wearing his parachute harness, but not the chute, and the buffeting of the plane made attaching the two difficult. As the seconds ticked by the plane dropped lower. Other members of the crew were possibly in the same predicament, for Talbot was one of the first out of the plane. He no doubt breathed a huge sigh of relief as his chute billowed open. He would later recall how quiet it was as he hung in the air over Uxbridge. 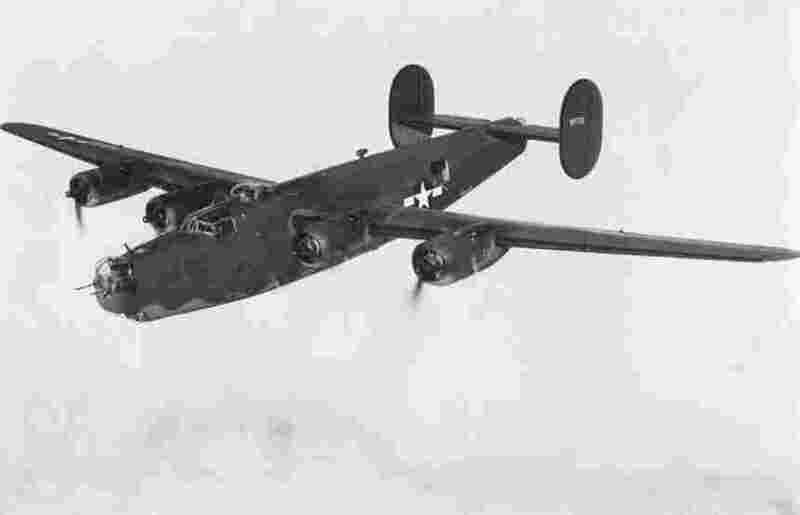 The other B-24s had disappeared, and his own was a flaming wreck. He didn’t know it then, but another crewman, 18-year-old, Corporal Robert Kelly, was the only other member of the crew to get out safely. Three others jumped, but the aircraft was too low to the ground when they did, and their chutes didn’t have enough time to deploy. The co-pilot had waited the longest, perhaps to make sure the others had jumped first. His remains were found in the bomb bay. To his credit, the pilot, 2nd Lt. Arnold Moholt, never left the controls, trying to save his men while directing the plane away from the populated downtown Uxbridge area. Talbot came down in a wooded area where he was found by an army sergeant home on leave. He had lacerated his hands while escaping from the plane, and was taken to Whitinsville Hospital. There he and Corporal Kelly were admitted and prevented from returning to the crash site. The other aircraft involved in the collision, (41-28508), suffered damage, but was able to remain airborne and made it back to Westover. Woonsocket Call reporter Russell Krapp was at the downtown Uxbridge field office when he heard the formation passing overhead and happened to look out the window just as the accident happened. The doomed bomber plummeted to earth in the High Street area where it exploded in a massive fireball sending a plume of smoke hundreds of feet into the air. Krapp, along with dozens of others, raced to the scene. The fire burned over forty acres before it was brought under control by firemen from Uxbridge, East Douglas, and two state forestry trucks. The site was cleared of wreckage, and little by little Mother Nature began to reclaim the land. It remained wooded for many years afterwards, but by the 1980s the land ready for a housing development. 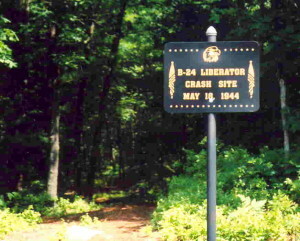 Fortunately, there were those who remembered the crash and sought to have at least a portion of the area preserved. 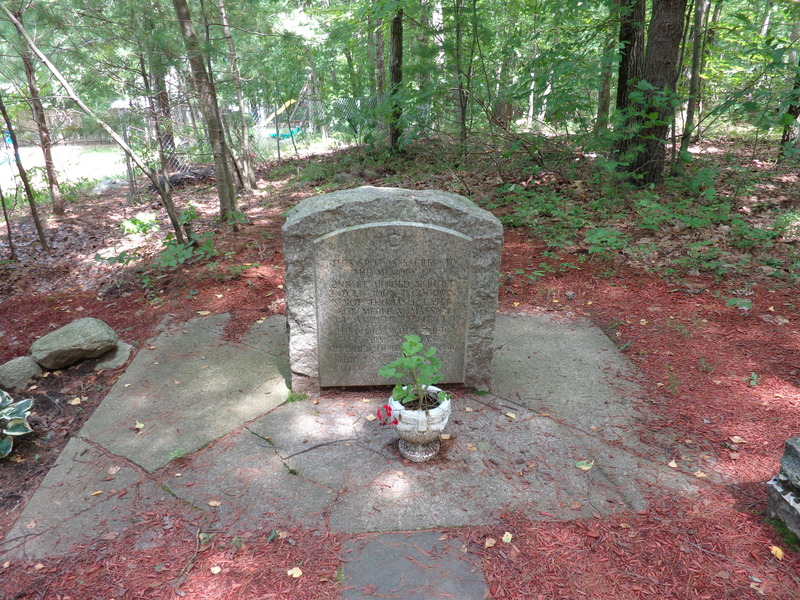 The result is a two-acre wooded lot across from 84 Chamberland Road, marked by a sign that directs visitors along a well maintained path leading to a memorial honoring those who died. Next to the monument is a piece of melted aluminum that had once been part of the aircraft. They died when their US Army Airplane Crashed here May 18, 1944. They Gave Their Lives Four Country And Humanity. The monument was dedicated October 11, 1944. Lt. Arnold Moholt was born December 15, 1920 in Glendive, Montanna, where he lived until he graduated high school. He went on to attended business college in Spokane, Washington, before enlisting in the Army ordinance division in March of 1941. In 1942 he transferred to the Army Air Force, and was commissioned an officer in January of 1944 at Maxwell Field, Alabama. He had recently written to his surviving relatives in Missoula, Montanna, that he expected to be sent overseas in the near future. He is buried in Missoula Cemetery. Sergeant Merle Massar was 21-years-old, born June 7, 1922, and was just shy of his next birthday when the accident occurred. He was born in Mount Vernon, Washington, where his father was a prominent businessman. He was an accomplished violin musician, and often participated in musical and theatrical productions at Mount Vernon High School. He was also a member of the school’s Thespian Society, and Ski Club. After graduating in 1940, he enrolled in college, studying at the University of Washington where he excelled at writing. One of the university professors, Dr. George Savage, stated Massar’s writing ability “showed great promise”. In April of 1943 Merle entered military training for radio-aerial gunnery school, and at the time of the accident had been serving as a top-turret gunner. He was survived by his mother and brother, Clifford. Sgt. Anthony Pitzulo was two days shy of his 25th birthday when he died. He was born and raised in Lowellville, Ohio, the son of the late Joseph and Mary (Aurclio) Pitzulo. He entered the army in 1942. He was survived by a sister, four brothers, two half brothers, and a half sister. Lieutenant Talbot survived the war and later married and raised four children. He later became a grandfather nine times over. He returned to Uxbridge sometime in the1950s, and again in 1984 at the request of local officials to attend a memorial ceremony. Forty years after his ordeal, he recalled the details of the crash to reporters. He passed away in 1995. Woonsocket Call, “3 Forterss Crew Members Bail Out; Plane Explosion Starts Forest Fires” May 18, 1944. Mount Vernon Daily Herald, “Merile Massar Loses Life In Bomber Crash”, May 19, 1944, Pg. 1.